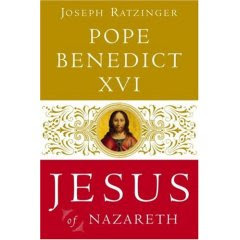 "Jesus of Nazareth" is a very interesting book and have to say am very impressed and awed by Pope Benedict's writing and theology. I found this book to be easy to read, awe-inspiring, mind altering and very rich in information. Pope Benedict is a great theologian whose insights and explanations give the Bible and the life of Jesus whole new meaning. His explanation into the symbolical meanings and history of and in the Bible are so clear and mind-expanding. It makes me see the bible in a whole new light. Pope Benedict's book could be used as a bible study in its own right. 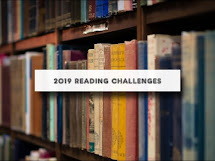 It makes me want to read the book again, with my bible in hand, to underline and write explanations of the symbolic meanings Jesus uses in his parables or the history behind each book, so I will never forget them. The Pope is an excellent writer and makes use of many resources to explain his viewpoints. In his own words "this book is my personal search for the face of the Lord." The front flap of the cover describes the book "In this bold momentous work, the Pope, in his first book written as Benedict XVI - seeks to salvage the person of Jesus from recent 'popular' depictions and restore Jesus true identity as discovered in the Gospels. Through his brilliance as a theologian and his personal conviction as a believer, the pope shares a rich, compelling, flesh and blood portrait of Jesus and incites us to encounter face to face, the central figure of the Christian faith." Once I started reading this book, I couldn't put it down. There are many points I underlined through out the book, too many to mention here. I sometimes get in the mindset of taking everything at face value or literally when reading the bible and miss the symbolic meanings of things. But one thing that stuck with me the most was when he talked about "the kingdom of God." First he provide a historical background regarding the Kingdom of God and then what it means. "Jesus himself is the Kingdom, the Kingdom is not a thing, it is not a geographical dominion like world kingdoms. It is a person, it is he." "We can put it even more simply: When Jesus speaks of the Kingdom of God, he is quite simply proclaiming God, and proclaiming him to be the living God, who is able to act concretely in the world and in history and is even not so acting. He is telling us: "God exists" and "God is really God," which means that he holds in his hands the threads of the world." You would have to read the whole chapter in context of course, but once I read that, it gave me a whole new sense to the parables. Like I said, this book will change the way you read the bible forever. I am looking forward to reading more of his books in the future.